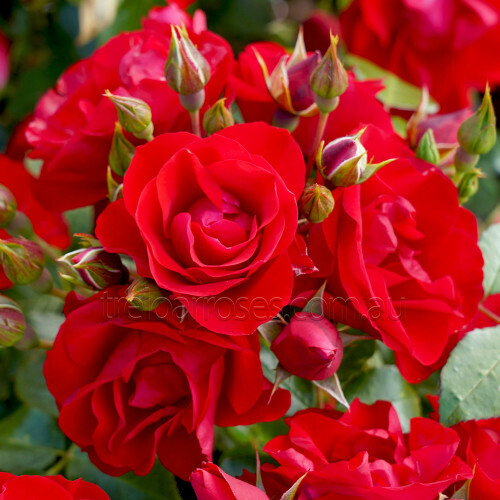 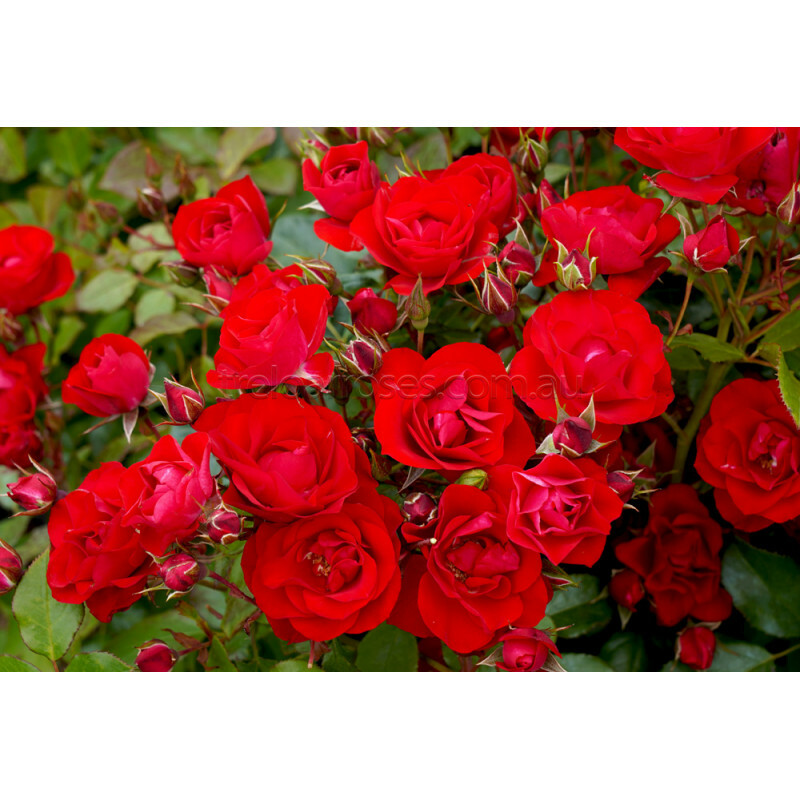 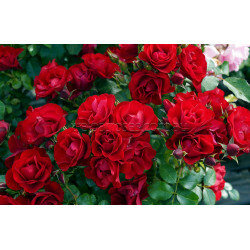 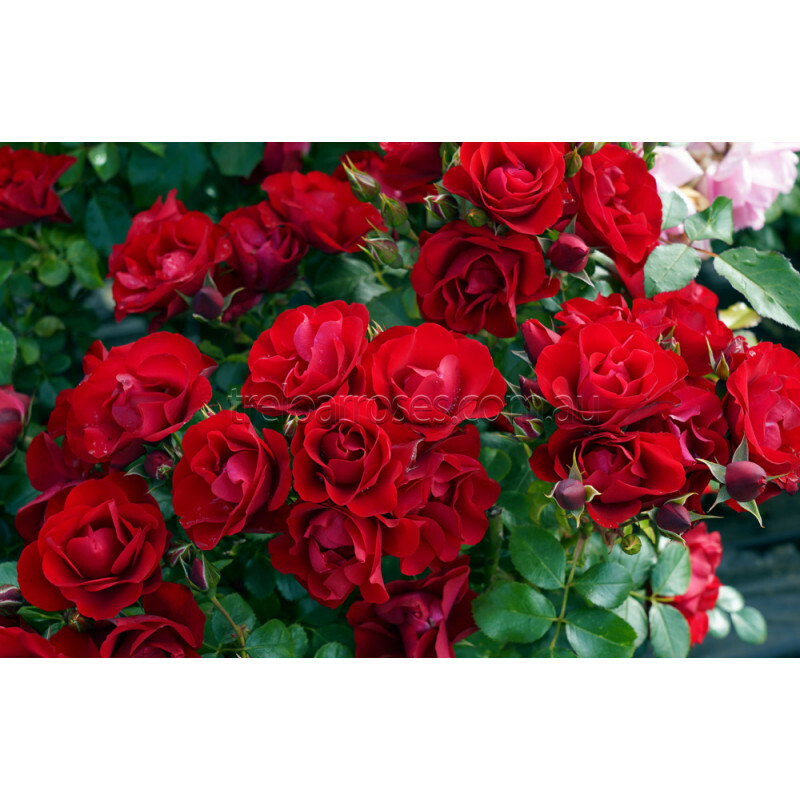 (Korschwill) - A reliable landscaping rose with a profuse amount of blooms in an unfading, shining red and a remarkable health that will make this one a stand out in your garden. 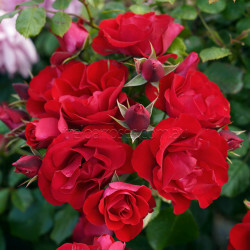 This bush develops into a well-branched upright plant with glossy dark green foliage. Awarded an ADR in 2010. Great en masse, in a pot or for small garden areas.